ROQUE Events planned and designed a gorgeous wedding for Marissa Lovus, Sports Anchor for the San Francisco 49ers, and husband Robbie Reed. Robbie and Marissa met in college, when Robbie was the starting center for the school's football team. The bride worked closely with Raquel Bickford Oranges, Owner + Executive Producer, for a year and a half to design her ideal wedding. 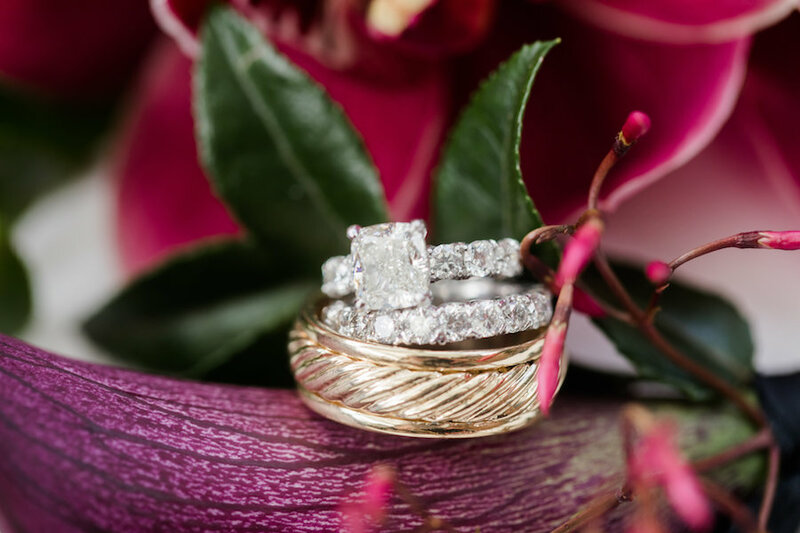 Guests were overjoyed with the thought and love put into the entire wedding look! The movie La La Land was the inspiration behind the wedding. 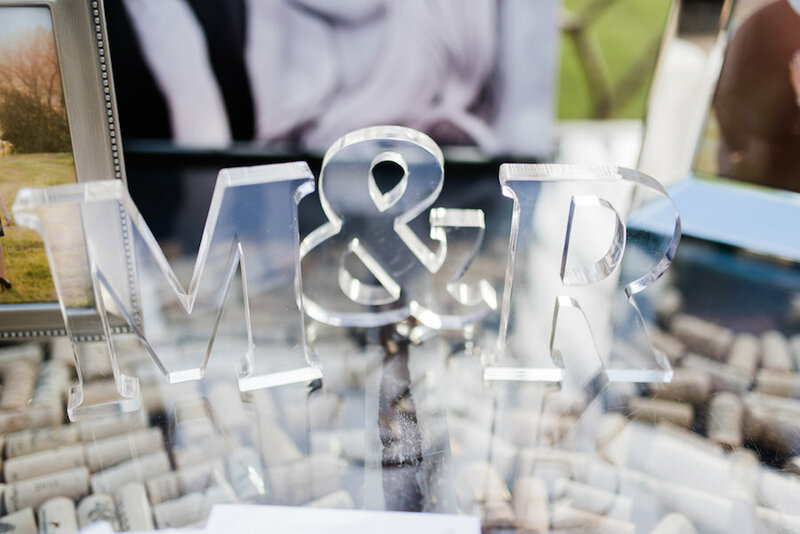 When envisioning their wedding, Marissa and Robbie thought of four words they wanted to have their guests feel and think after being a part of their special day: intimate, elegant, unforgettable and personalized. They wanted all of their guests to experience Napa Valley and get a taste of the environment and of course the food and wine. Starting with the ceremony, they wanted to capture the most important part of the day. They had always wanted a live painter for not only the entertainment value, but to be able to hang a piece of art in their home and remember the moment they were announced as husband and wife for the first time. The live event painter was thrilled to capture the Jewish ceremony wedding tradition of smashing the glass. As their 70 guests moved into cocktail hour, they wanted to offer two signature cocktails that showcased the two of them. Eight months prior to the wedding, Marissa and Rob custom designed a 10-liter barrel and started aging a special Manhattan cocktail for all of their guests. 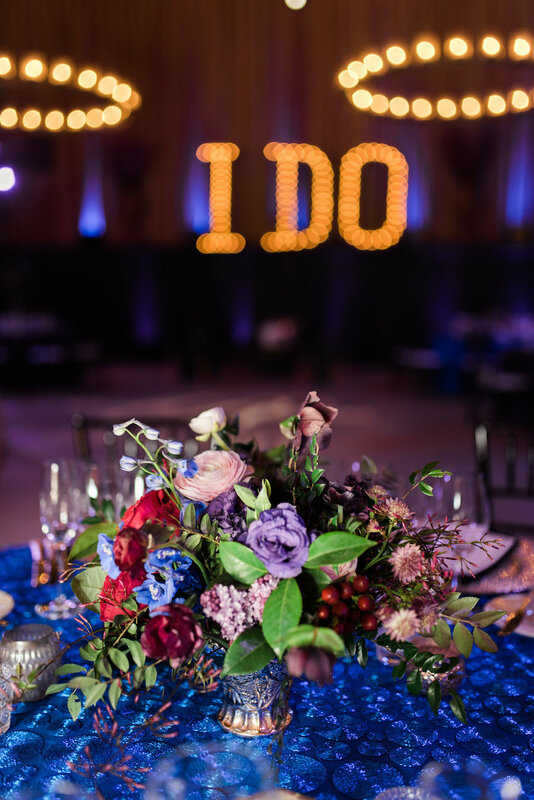 As the night continued on, the guests were escorted to the hurricane candle lined barrel room filled with jewel toned up-lights, bold color choices and large statement pieces like the “I DO” sign, it was truly a statement piece. 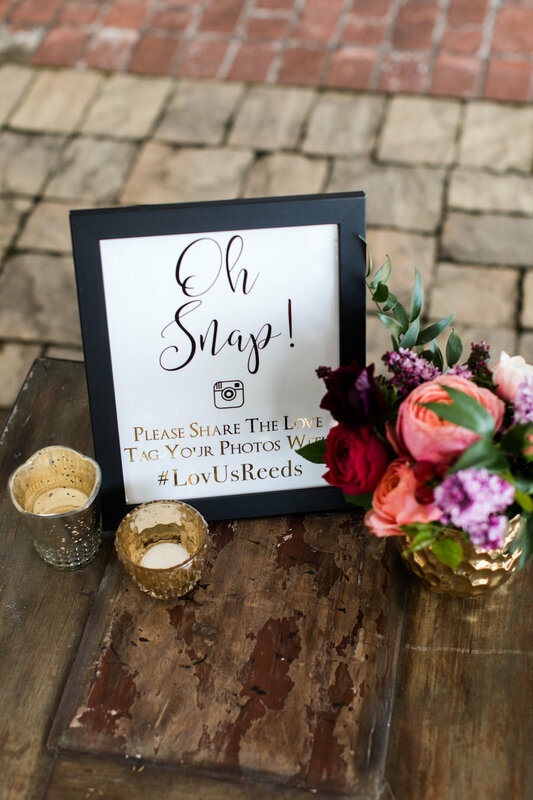 The sign was the hit of the reception and made everyone’s Instagram posts that night. Guests were treated to a 3-course wine paired dinner, highlighting special Napa Valley wines along with delicious cuisine. Favors were from Yountville’s finest chef Thomas Keller and the Bouchon Bakery, while welcome boxes featured all local artisan goods and cheeses from Napa Valley. After a delicious meal it was time for dancing and DJ Sir Edgar could not get everyone off the dance floor. With music playing all night long, it was mid-way through the dancing when their friends lifted Marissa and Rob on the stage next to the “I DO” sign and they sang Journey’s “Don’t Stop Believing.” All of the dancing called for a midnight snack featuring tater-tots and sliders. Who could forget the Red Velvet and Funfetti Cake made by Perfect Endings, who has created wedding cakes for Christina Aguilera and numerous celebrities. After a truly unforgettable day and night for the bride and groom, it was their parents, family and friends yearning to re-live the day all over again. 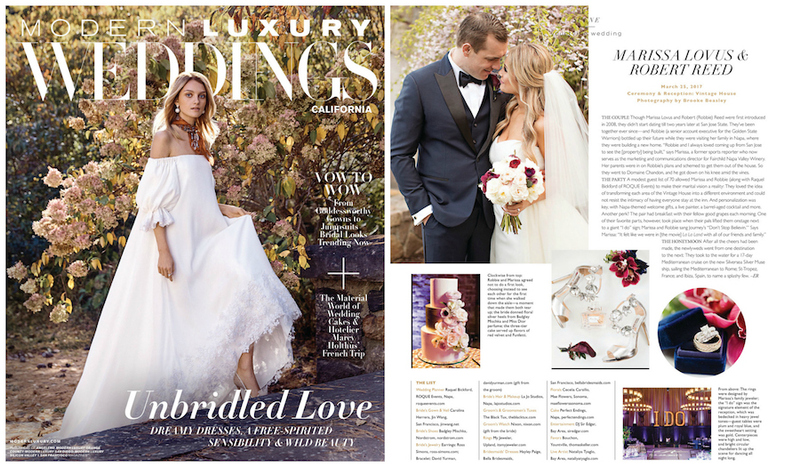 See the feature on Modern Luxury Weddings below.